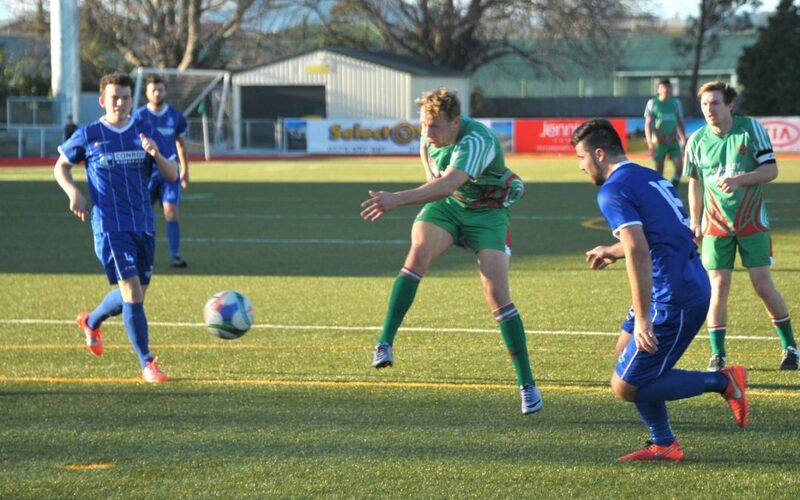 Gun striker Sam Mason-Smith will have added responsibility when Wairarapa United kicks off their 2017 Central League football campaign with a match against Miramar Rangers at Memorial Park, Masterton late Saturday afternoon. As well as fronting what should be a potent attack with former Wellington Phoenix star Paul Ifill, Mason-Smith will also be team captain, a role for which coach Phil Keinzley sees him as having all the necessary attributes. “He’s the sort of guy who wouldn’t ask anybody to do something he wouldn’t do himself . . . there wouldn’t be anybody with a higher workrate than Sam,” Keinzley said. Taking on a team of Miramar Rangers’ calibre would be a tough assignment at any time for Wairarapa United but this one is made even tougher through several of their players having had national league commitments right up until the last couple of weeks. In fact, Keinzley would only have had his full squad together for two training runs before Saturday’s fixture. “There’s no problem with enthusiasm but you can’t expect the combinations to be right up to scratch with such a limited preparation,” Keinzley said. The composition of the Wairarapa United side won’t be known until tomorrow but there seems every chance that two of the local youngsters in the squad, Alex Cox and Callan Elliott, will both be part of the starting line-up after recently joining up with national league sides, Cox for Hawke’s Bay and Elliott for Tasman. And it seems likely too that at least three “imports” will be making their debut for the club — goalkeeper Coey Turipa, Cameron Lindsay and Alex Ridsdale. Kick off is at 5.30pm. The Wairarapa United women’s team have had a wonderful run of success in lower grades over the past couple of seasons but whether they can continue their success now that they too have Central League status remains to be seen. They will play 2015 champions Seatoun at Memorial Park on Saturday (start time 3.15pm) and it will be interesting to see how they cope with the significant rise in standard. Now coached by former New Zealand rep Kim Nye, the Wairarapa United squad will be captained by Chontelle Leban and will include a number of last season’s stars, such as Meisha Boone, Stephanie Andrews-Paul, Annie Jones, Sophie George and goalkeeper Emma Kruszona.